Watch full Ginga Eiyuu Densetsu Season 2 Episode 10 English Subbed full HD online. Ginga Eiyuu Densetsu Episode 36 English Subbed online for free in HD. Thunder. Admiral Kessler, chief of the Military Police, informs Reinhard that two former members of the Lippstadt League (Landsberg and Schumacher) have arrived in Odin, and may be involved in some plot. Reinhard asks Hildegard for her advice: she thinks they are in fact sent by Phezzan and will try to abduct someone, probably the young Emperor. 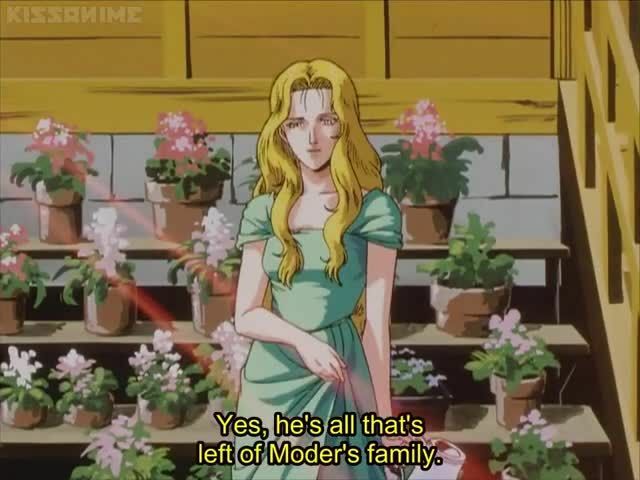 Later, she pays a visit to Annerose von GrÃ¼newald (Reinhard’s elder sister) and persuades her to let Reinhard increase the security measures. Reinhard summons Boltik, the Commissioner of Phezzan, tells him he knows everything about their plan, and asks what is Phezzan’s interest: Boltik answers that Phezzan expects to control the space communications and trade in an unified Empire. Reinhard agrees to act according to Rubinsky’s plan, only if Phezzan grants a free passage through the Phezzan Corridor to the Imperial Fleet.